Extra long adult sized bib to protect clothing from spills. This bib will easily cover the chest and lap. It is lightweight, soft and comfortable for the wearer. 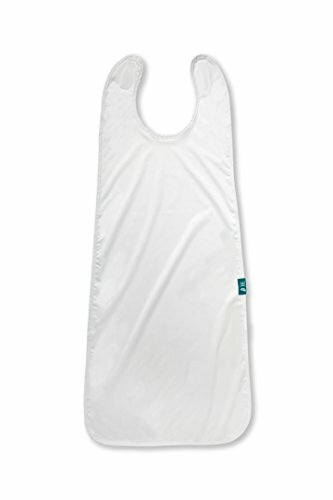 Made of medical grade PUL fabric, the bib is fully waterproof. Originally developed to be used by hospitals, PUL not only provides a waterproof barrier, but is extremely durable. These bibs are built to last. Easy care; machine wash and tumble dry. If you have any questions about this product by Bluebird Home Medical, contact us by completing and submitting the form below. If you are looking for a specif part number, please include it with your message.